This is the last of the posts in the “Martins” series. Martin Petit’s career path is not unlike those of the “Martins” in the two previous posts; Maxim Martin and Martin Matte. Petit’s first big breaks into the public arena were through improve in the 1980s, and as a member of a comedy troupe and at the Juste pour rire (Just for Laughs) festival in the 1990s. His participation at some of the best known comedy festivals was much more high profile than most comedians – eventually allowing him to take the reins as master of ceremonies. In the early 2000s, he made the leap to high-profile radio. The mid-2000s saw him host his own morning radio shows. Later he was given the opportunity to host one of the most popular radio shows in Montréal, “Le monde est Petit” (“The World is Small”, a play on his surname) on NRJ. Petit’s radio-presence made him a household name, and added to the furor and high-ticket sales for his one-man comedy shows. He became a “must-have” figure for various events, and he became a host for Radio-Canada’s annual gala, with 1.5 million viewers. He embarked in acting with his role in the very successful film Les Boys 2. His acting career continued as a cast member of the very popular TV show, Un gars, une fille. He was a co-writer of Montréwood’s most successful movie in 2011 (in terms of box office sales), Starbuck. He currently has his own sitcom television show, Les pêcheurs; one of the better-known weekly TV shows in Québec. Martin Petit’s official website is http://www.martinpetit.com/ (with ticket information for his upcoming shows). Did you know that “Martin” is the most common surname (family name) in France? 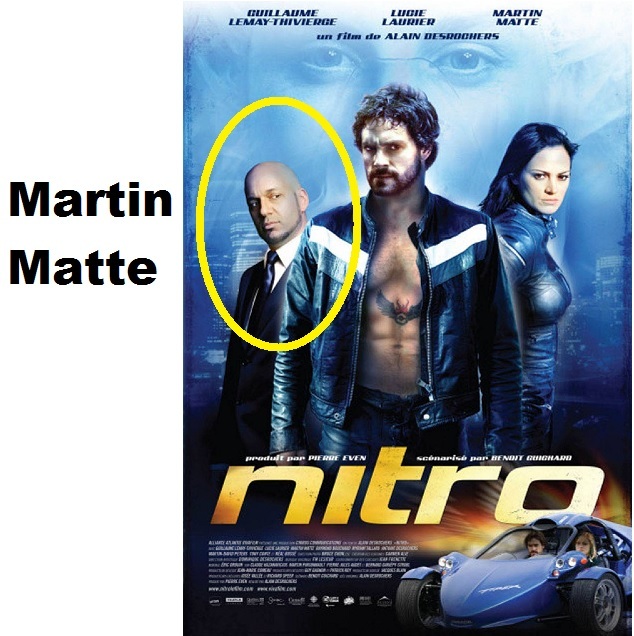 But in Québec, “Martin” is not the most common surname. What is it? Montréwood’s, Québec’s and Canada’s Francophone pop-culture scene has three well-known “Martins”. Most Francophones know them. Who might they be? The first one is Franco-Manitoban (from Winnipeg). His surname is “Martin”. The above two guys look very similar (their physiques are so similar that some people actually mix them up). The third one is also from Québec. His given name is also “Martin”, but he looks nothing like the first two. All three are stand-up comedians, but they also have their own television programs — either as actors or as hosts. All three are in high demand for television and event appearances; so much so that we have seen them as regulars on the talk show circuit, in gala events, and as invited interview guests for years. Bluntly put, all three are staples of the Montréwood and Francophone pop-culture scene. The first one has an adolescent daughter, Livia, who is regularly referred to in the media when they talk about her dad. And you would think that the third one likes to fish. We’ll learn more about these Martins in the next three posts. In the meantime, I’m off to see if I can still get tickets for Maxim Martin’s big comedy show here in Montréal tonight (I drive back to Toronto tomorrow… so tonight’s my last chance to take in his show). Talk to you again soon!! Both his second and third-era films are extremely well-known, influential, and have marked Québec’s and Montréwood’s film industry forever. He is probably Québec’s greatest filmmaker of all time. 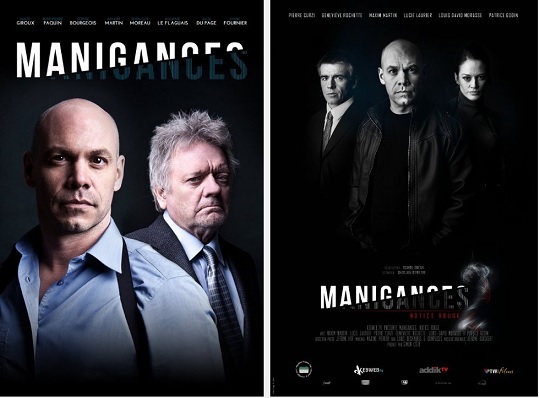 Québec’s film industry really didn’t take off until the beginning of the second era, and Arcand was born at the right moment to be of the right age when he became fully engaged as a filmmaker (from a nationalist and age-bracket point-of-view). His first films came out in the early 1960s, and he created, or participated in the creation of 10 major films from the 1960’s until the first referendum in 1980. Of these second-era ultra-nationalistic films, a few have marked Arcand’s place in history (they were films kept the ball of nationalist momentum rolling, or at least they gave the ball a few good, hard spins). “On est au coton” from 1970 is one of the best known. “On est au coton” was actually censored by the National Film Board based because it did not meet Board policy standards (The NFB had the authority to censor it because it was a private matter owing to the fact that they produced it – not because of government censorship [we’re not that kind of country, after all]). I think uncensored versions of it only began to be sold on the open market during the last 10 or 15 years. The film’s theme was about francophone labourers of the 1950’s, working under appalling conditions in Québec’s Anglophone-managed textile industry (I’m sure you can infer the spin Arcand took with this film). The film also included two members of the FLQ (a Québec terrorist organization from the late 60’s / early 70’s) calling for armed revolution. On one hand, it was held up as a lightning rod for those calling for sovereignty. On the other hand, others decried that it twisted reality by sensationalizing issues which were not reflective of the reality for the majority. Regardless, it was a long time ago (45 years ago), and I believe it’s good for everyone to be fully aware of film and the context of the time. But it was a matter for another generation and now for the history books – I think most people recognize that. The film has been made available for free online viewing on National Film Board’s website at the following address: https://www.onf.ca/film/on_est_au_coton/. Other well-known Arcand films, from Québec second film era, were Québec: Duplessis et après (regarding the politics of the Quiet Revolution), and Le Confort de l’indifférence, which mourned the loss of the “nationalist dream” following the 1980 referendum. For many, this latter film signalled the end of Québec’s second–era of films. From the 1980s onwards, Denys Arcand, like most other major filmmakers, abandoned the themes of second-era films and concentrated on populist, modern and all-inclusive films with global appeal. After the 1980 referendum and after his film Le Confort de l’indifférence, I think Arcand felt there was no more point in creating films which created ideological divisions in society, or which had nationalist aspirations — and he laid that aspect of his filmmaking to rest. Even if one wanted to make a point, one could still do it in an inclusive manner — just as any family dispute can be discussed without making individual family members feel isolated or rejected. In passing, this is also why I do not ascribe to the notion that nationalistic debates are “tribalistic” in nature (at least in our context in Canada), because tribalism denotes a “them and us” connotation – whereas I’m of the mindset that we’re all in this together, that it’s a family affair, and that it is to be discussed in this latter context. In an interesting comparison, just as Denys Arcand chose to make Le Confort de l’indifférence to signify the end of second-era films, Pierre Falardeau chose to make Elvis Gratton to signify the end of second-era films, and to then move on with life (see the post on Elvis Gratton). It was the mid 1980s transition towards third-era films which really saw Arcand’s artistic genius and abilities take flight. I think it is owing to the fact that he liberated himself (and his movies) from second-era constraints that he was able to finally produce works which found universal appeal. His subsequent success was phenomenal. I’ll briefly mention some of his most successful third-era films. But I’ll provide you with Wikipedia links if you want more information. Le Déclin de l’empire américain (1986) was an Oscar nominee. Its sequel, Les Invasions barbares (2003) won an Oscar. Jésus de Montréal (1989) won the Jury award at Cannes and an Oscar. Subsequent successful films included Idole Instantanée (2005), L’Âge des ténèbres (2007), and Le Règne de la beauté (2014). Other notable information: Denys Arcand also has made many short films. He has been decorated with Canada’s, Québec’s and even France’s highest awards. He is highly sought after for interviews, and been the invitee on many of Montréwood’s most high profile talk shows. His works and life are also the subject of intense study at university and in academic circles. In essence, he incarnates Québec cinema on many levels, and has set the bar for generations to come. If you’re learning French, I’d recommend taking in some of the above-mentioned films. Not only will they provide you with an interesting way to practice your French, but they will provide you invaluable cultural context.